OxygenOS 4.5.4 for Oneplus 5 is rolled out and the new updated comes with some major fixes like 4G LTE network issues. Many Oneplus 5 users are facing this network issues on their phone and now they can fix this problem with this new OxygenOS 4.5.4 update for Oneplus 5. The update is area specific and currently available for the Netherlands users. Download OxygenOS 4.5.4 for OnePlus 5 from below and fix all your issues with this update. You can install this update manually on your phone. Here are the full instructions which you can use on your OnePlus 5 and update it with the latest OxygenOS 4.5.4 update. Earlier, the oneplus team released Oxygen OS 4.5.3 with several bug fixes and system optimizations. But this update is only to fix the 4G and LTE issues on the phone. 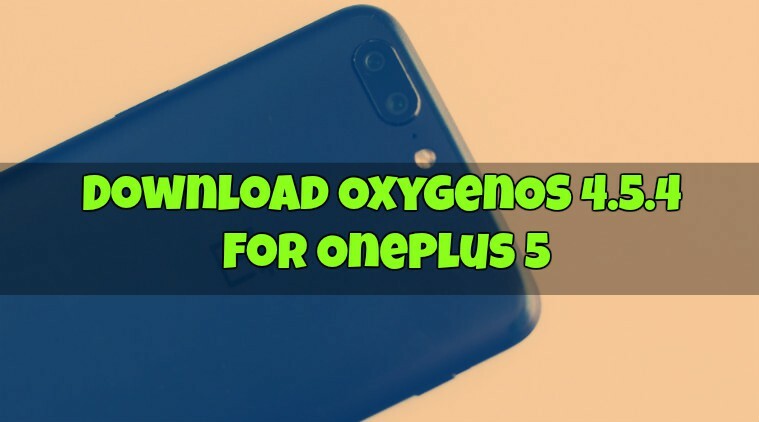 So if you want to update your OnePlus 5 to the latest version then Download OxygenOS 4.5.4 for OnePlus 5 from below and flash the same on your device. 1. Download the ROM from the above mention link and place it in the root folder of your OnePlus 5. 4. Select upgrade now and system would reboot in stock recovery and flash the Oxygen OS 4.5.4 update. The Oneplus 5 will reboot and your phone is now running on the latest OxygenOS 4.5.4 firmware & OS based on 7.1.1 Nougat. 4. Now, Go to Install and locate the OOS 4.5.4 Full Rom Zip & swipe to Install the ROM file. Now you succesfully flash the OxygenOS 4.5.4 Firmware on your Oneplus 5 phone and the first boot may take some time to make some changes on your phone. If you have any questions? Do let us know that in the comments below.